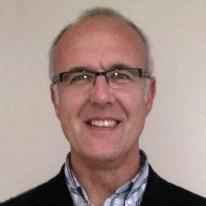 Mark Holbrook joined iFormulate Ltd. as an Associate Partner in January 2014 after 25 years as a research scientist with ICI, Zeneca, Avecia and Fujifilm. Mark started his career testing chemicals for the rubber industry at Anchor Chemicals, but quickly moved on to a formulation career at Patco Chemicals. Here he developed a wide variety of formulated products for the textile and paper industries – wetting agents, detergents, polymer emulsions, resin solutions, antifoams, defoamers and dyeing additives. He also synthesised specialist non-ionic surfactants at pilot plant scale. At ICI and its successor companies (Zeneca, Avecia, Fujifilm) his responsibilities encompassed both novel concept and new product development, as well as technical problem solving and project management. Here he gained his very substantial expertise in pigment dispersions and dispersing agents, dispersion science, ink-jet technology, ink formulation and ink-media interactions. These are the skills he’ll be using for the benefit of iFormulate Ltd and its clients.